Have you ever been to a networking event where you felt like you didn’t really belong? You check-in, get your badge or write your name on a sticky label. Then there’s an awkward moment when you are trying to figure out who would the right person to introduce yourself to. Maybe that guy wearing a cool startup t-shirt? But he seems to be too focused on his slice of pizza. Nevermind. Beer and pizza don’t last for long. Then half of the people leave because they showed up just for beer and pizza. So who’s left? You walk around the room, trying to make eye contact with someone with the hope to start or join a conversation. From far, you see these guys with his oversized suit talking to a pretty lady… A little too close. Suddenly, out of nowhere, a man hands you his business card, asks what you do and before you even finish, leaves you to approach someone else with his cards. Then you notice some familiar faces and realize that these are your friends and colleagues. So you decide to walk towards them and end up staying with them the whole time. CONGRATULATIONS, YOU MADE ZERO VALUABLE CONNECTIONS. Before you even show up to an event, know exactly what to expect, do your research on the organizer, who’s attending, etc. Also have a clear idea on what’s your purpose. Simply wanting to expand your network is a bad goal. But wanting to meet with a strategic partner is an example of a good goal. Once you identify your goals, try setting an action plan to reach those goals. Avoid meeting people that are completely irrelevant to your business goals (no matter how attractive they are). If you get stuck with them, figure out an exit plan to minimize the time-wasting conversation. Smart people value their time. Knowing your goals and meeting the right people – that’s only half of the job done. You need to figure out how you can bring value to those people who can help you achieve your goals. For example, a student can find potential mentors who offer internships which eventually lead to 6 figures. 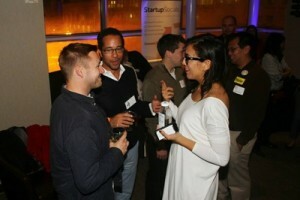 You will need to become a Social Architect at the networking events.